President Mugabe has congratulated South Africa’s President Jacob Zuma and the African National Congress for resoundingly winning the May 7 general elections. 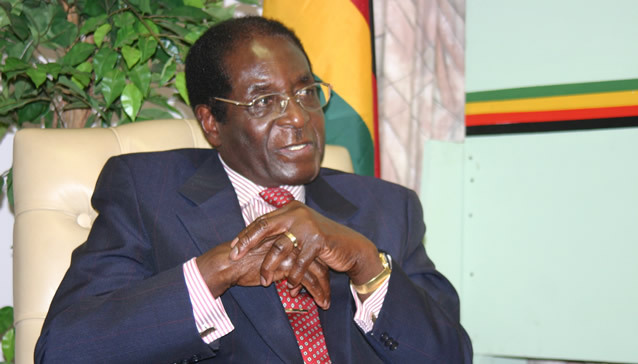 He said Zimbabwe would continue to work closely with South Africa bilaterally and in Sadc and the African Union. “The Government and people of the Republic of Zimbabwe join me in conveying to you, Your Excellency, as well as to the brotherly people of the Republic of South Africa, our hearty congratulations following your resounding victory in the May 2014 general elections,” President Mugabe said. “Dear brother and colleague, as we join you in celebrating this victory, I wish to express Zimbabwe’s desire to cement and consolidate all aspects of co-operation between our two countries. President Mugabe said the ANC’s resounding victory attested to the trust and confidence the people of South Africa bestowed on its leadership. “It is further endorsement of the excellent work you are performing to uplift the lives of the ordinary people of South Africa,” he said. “Let me also take this opportunity to commend the people of South Africa for their peaceful and exemplary conduct during the election period. The ANC secured 62,15 percent of the vote, followed by the Democratic Alliance (22,23 percent) and the newly formed Economic Freedom Fighters led by former ANC Youth League president Mr Julius Malema (6,35 percent). Under South Africa’s system of proportional representation, the ANC enters Parliament with 249 of the 400 seats, while the DA has 89 and the EFF 25. Smaller parties share the remainder. Turnout was 73 percent of the 25 million registered South African voters. There were 251 960 spoilt ballots. A record 29 parties contested the general elections and 13 received sufficient votes for National Assembly representation. The ANC campaigned on its record of promoting democratic freedoms and providing basic services to millions of South Africans since the end of white minority rule in 1994. The EFF’s 6,35 percent translated to around one million votes for the party that promotes economic empowerment.